FORD FUSION BOOT LINER. The ideal accessory for the Fusion. 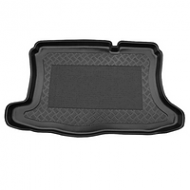 Lipped edges prevent spillage, Anti slip centers are included in all ford fusion boot liners.